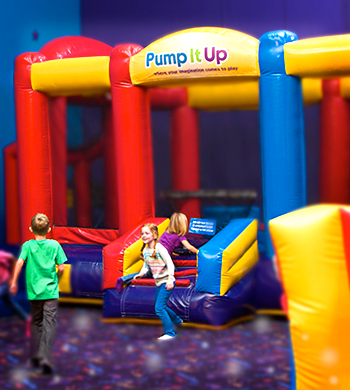 The Arlington Pump It Up location has been serving the residents of Arlington, Mansfield, and surrounding areas for over a decade from its Eden Road location. In January of 2011, we re-opened our doors with a new owner after a four month long renovation hiatus. During this time, we built parents' areas and replaced most of the equipment. In September of 2016, we gave our facility a refresh. At this time we painted, added new lobby carpet, replaced about half of the inflatables, and added music in the party rooms. The staff at this location is highly trained and some have been around for many years! All new staff are trained to the same high quality standards this company is known for. 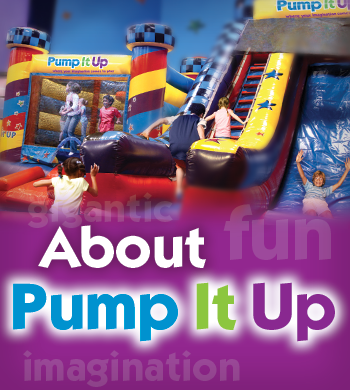 At Pump It Up Arlington we offer many different events to get your child's mind playing. From Pop-In-Plays to private parties, we do everything we can to ensure that you and your child have a good time and lots of fun!